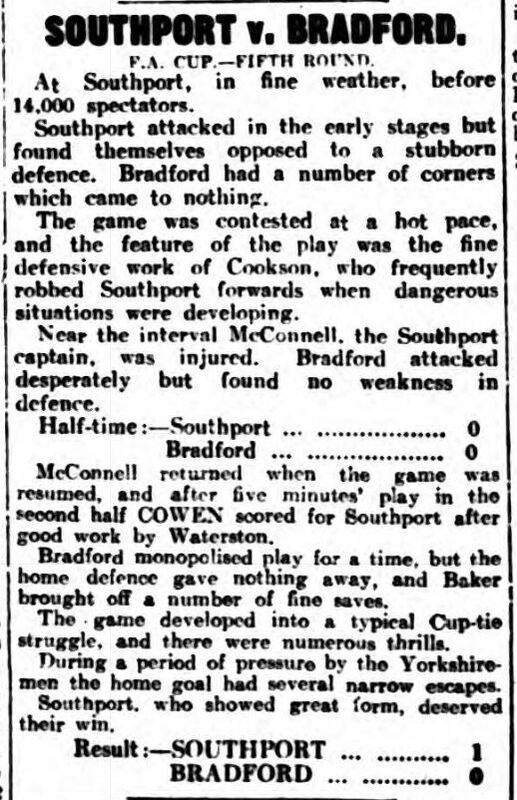 On this day in 1931, Southport met Bradford Park Avenue in the FA Cup fifth round at Haig Avenue. Aiming for a place in the last eight, a bumper crowd of over 17000 packed the terraces. Missing from the Southport line-up was Wyness after breaking his leg at Rotherham a few weeks previous. 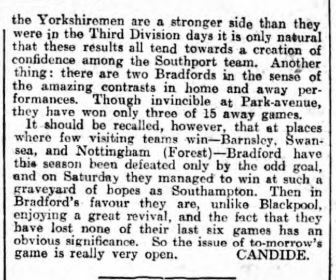 Despite this, it was an even split in the press in terms of who were the favourites, with Southport having already shown their cup prowess beating both Milwall and Blackpool in the previous rounds. 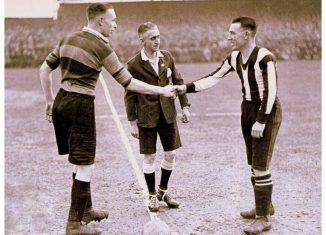 Commenting to the Yorkshire Post and Leeds Intelligencier before the game the Bradford manager, Mr Ingram, had a note of caution. “Having regard to our past experiences at Haig Avenue, and from personal observation of the side this season, it is unwise to be too optimistic, but at the same time I feel that Bradford’s superior ability, and the wonderful team spirit which has permeated the side for some time past, will carry us through into the sixth round”. 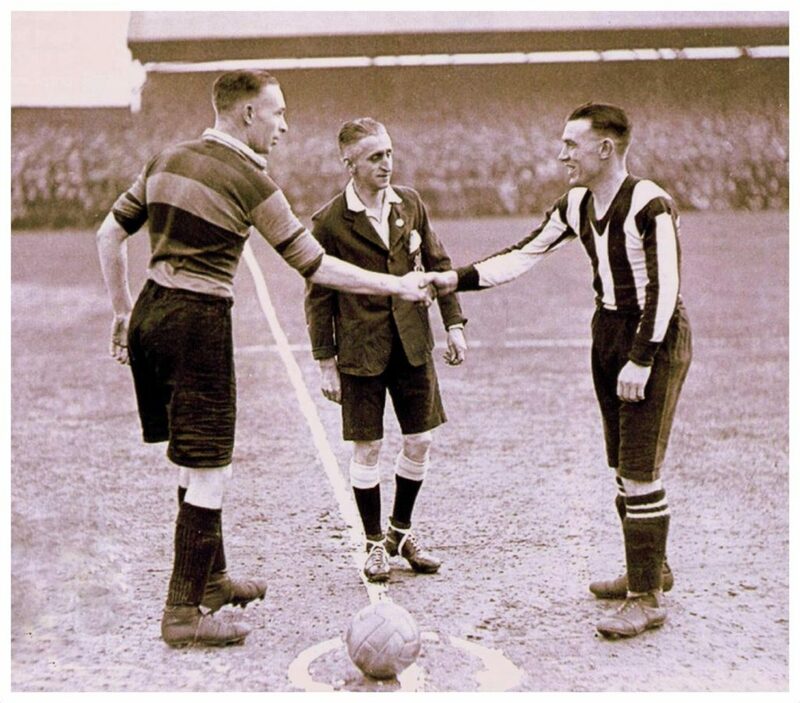 February 1931 SFC (stripes) Vs Bradford PA.